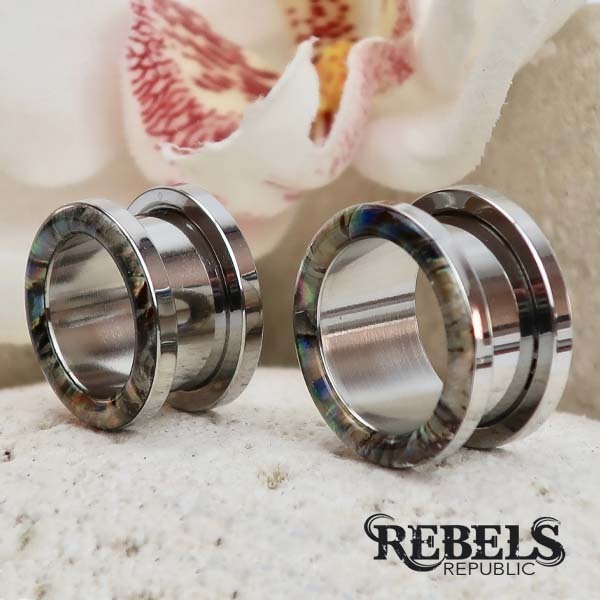 Add a little Mystique to your lobes with this stunning mother of pearl rimmed Tunnel. Screw fit. Various sizes in stock. 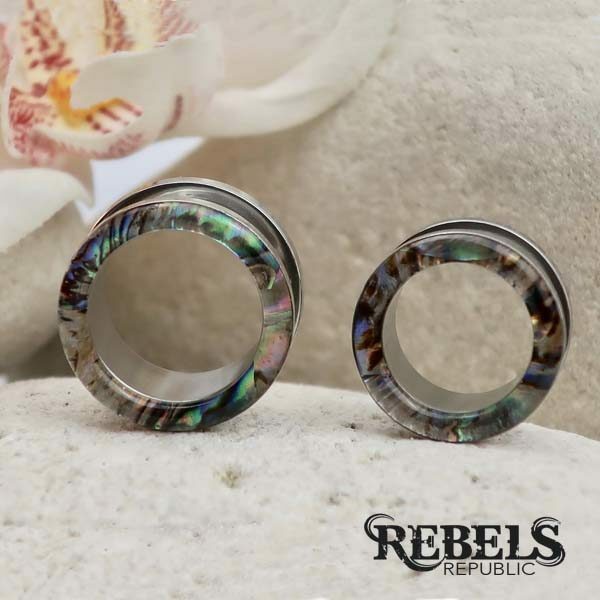 Stunning mother of pearl rimmed tunnel, a little reminder of natures natural beauty. Highly polished for that long lustre.